Safe2Wheelers is prepared to link to other projects, as well as organisations that focus on PTW safety and transport safety in general. 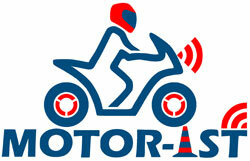 MOTORIST (Motorcycle Rider Integrated Safety) is an Initial Training Network (ITN) Nr. 608092, funded under the FP7 Marie Curie programme of the Commission.